With the Oscar-winning film, Bohemian Rhapsody, the music of Queen is more popular than ever. 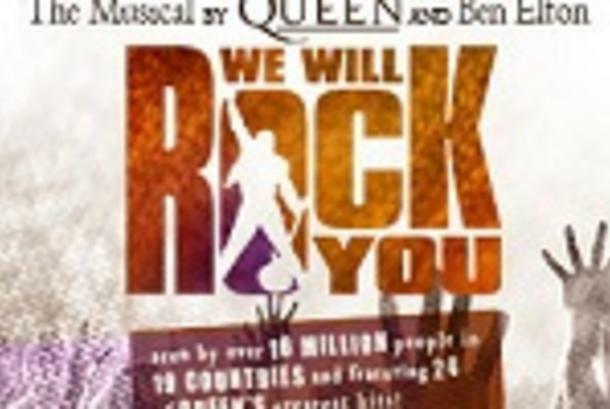 WE WILL ROCK YOU follows two revolutionaries, Galileo and Scaramouche, on a quest to save rock n’ roll in a post-apocalyptic world where there are no musical instruments and rock n’ roll has died. Twenty-four of Queen’s timeless songs will be performed including We Are the Champions, Radio Ga Ga, I Want To Break Free, Somebody To Love, Killer Queen, Don’t Stop Me Now, Under Pressure, Bohemian Rhapsody, Another One Bites The Dust and, of course, We Will Rock You.